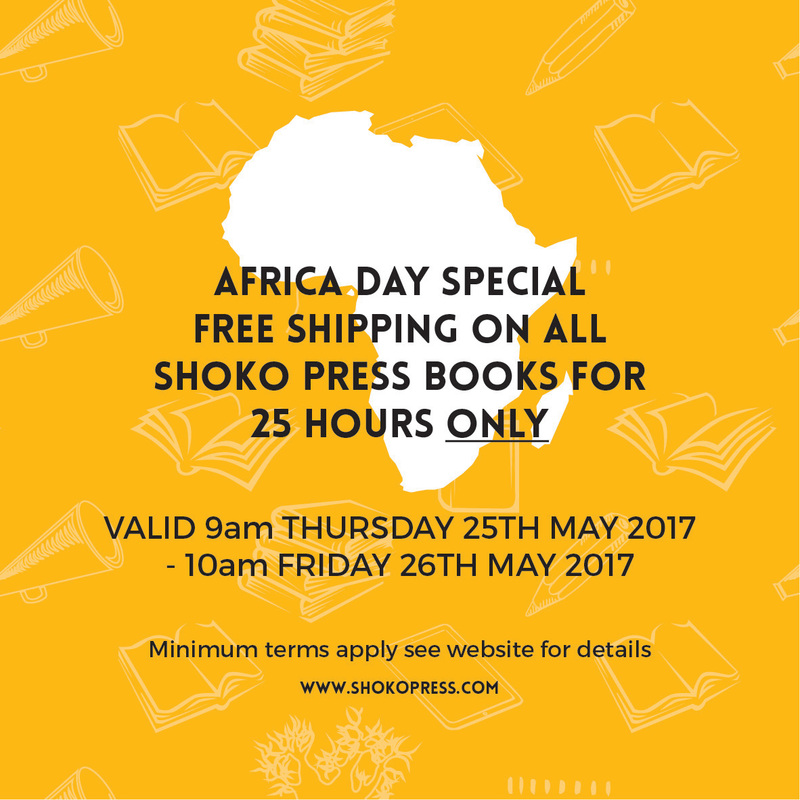 Shoko Press is marking Africa Day on Thursday 25th May 2017 by offering all customers free* shipping on our books to anywhere in the world for 25 hours ONLY. All you have to do is add your chosen books to the cart, checkout as normal where you will see free shipping applied. Celebrated every May 25th Africa Day marks the formation of the African Union (AU). This years’s event is extra special as the AU marks its golden jubilee. Africa Day sees events happening across the continent where the day is a public holiday in some African countries; as well as events being held across the globe. *Terms and conditions apply. Free Shipping maximum applies up to £20 shipping costs only. Should the value of your shipping costs exceed this you may be required to pay the difference. In the event of this occurring we will contact you first to discuss your order. The Free Shipping window applies from 9:am GMT Thursday 25th May 2107-10am GMT Friday 26th May 2017 inclusive after this shipping costs return to the normal prices. So we invite you to take advantage of the opportunity to get the book you have your eye on.